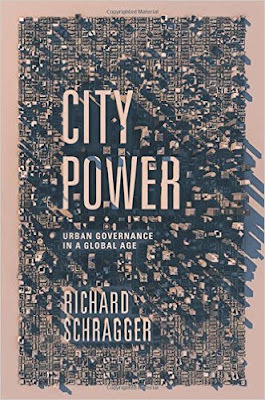 This week Balkinization will host an online symposium on Richard Schragger's new book, City Power: Urban Governance in a Global Age (Oxford University Press, 2016). Participants will include Scott Cummings, Nestor Davidson, Richardson Dilworth, Lee Fennell, and Kathleen Morris. Richard will respond to their essays.